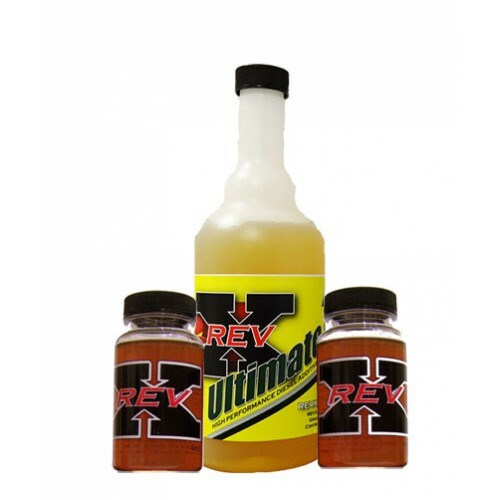 REV-X Ultimate diesel fuel additive is formulated as a complete single use full tank diesel treatment. No more measuring amounts or storing unused additives. Just a simple put it all in the tank solution. Ultimate Diesel fuel additive covers all aspects to provide customers with a single solution to keep their diesels running trouble free year round. 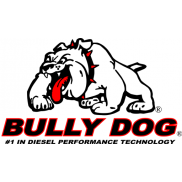 Never before has the proper oil additive package been so instrumental in protecting todays high performance diesel engines. With the EPA mandating the removal of key lubricating components such as Zinc, Sulfur and many more from today's diesel fuel and engine oils the consumer has been left with only one choice for complete protection. REV-X performance oil additive fills that gap and then blows the previous specifications away with above and beyond performance and protection for any lubricated component in your pride and joy! Greatly Improved Cold Start Operation. Smoother Operation of all Treated Components. Dramatic Reductions in Component Wear. Enhances FORD PowerStroke Injection Systems for Proper Operation. 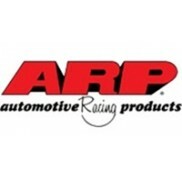 Whether you are looking for additional protection, efficiency or an increase in performance to make your truck run better than it did when it was new. 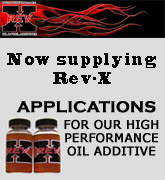 REV-X Performance Oil Additive IS the only real world solution.